With its current exhibition An Eames Celebration, Vitra pays tribute to the iconic design duo Charles and Ray Eames. 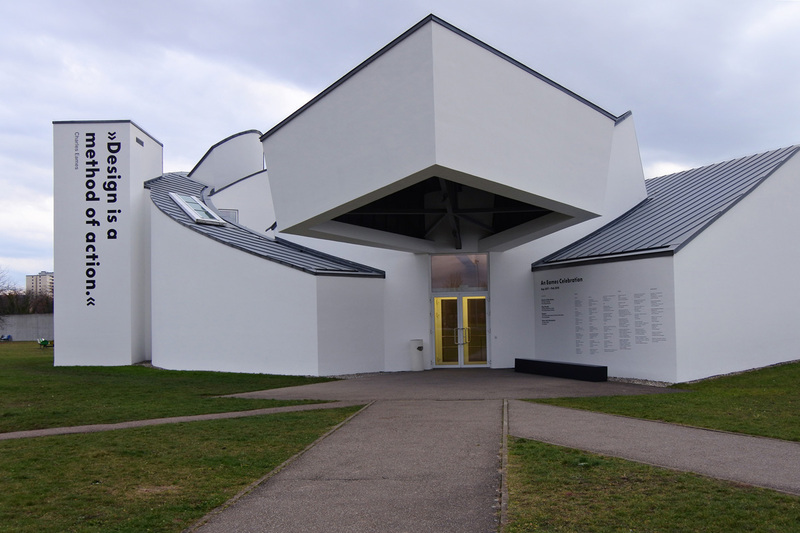 Across the campus in Weil-am-Rhein, four shows present the broad spectrum of their work. From furniture and toys to films, books and media installations, they have influenced generations of designers and continue to inspire creative minds. Renowned for their experimental approach and the timeless aesthetic of their furniture collection, these modernist masters have shaped our everyday culture. The design works presented during this exhibition will for sure excite mid-century design enthusiasts, but not only. With many studies, archives and even personal letters between Ray and Charles, the show enables a deep dive into the vision, projects and daily life of the legendary couple. With their entrepreneurial spirit, they played a leading role within California’s start-up culture during the post-war era. Pioneers, they considered new forms of knowledge transmission and media technologies. For their furniture collection, they experimented creative solutions in order to reach the perfect balance between material, structure, shape and production process. Always seeking for comfort and functionality, the duo created timeless basics, such their iconic chairs and lounge chairs. In the main museum building, The Power of Design explores Eames’ transdisciplinary work through interviews, furniture, drawings, sculptures, paintings and textiles. Ideas and Information: The Eames Film: not less than sixty films are displayed in the former fire station designed Zaha Hadid. They attest of the prolific creation of the couple. In the museum gallery, Play Parade presents the wide range of toys and masks. A joyful setting that reminds us to take our pleasure seriously! Kazam! The Furniture Experiments of Charles and Ray Eames is showcased in the Schaudepot. Among the different prototypes, the Kazam hot press machine, constructed during the late 1940s in the kitchen of their Los Angeles apartment, was meant to mould plywood into three-dimensional shapes. An Eames Celebration runs until 25 February 2018. 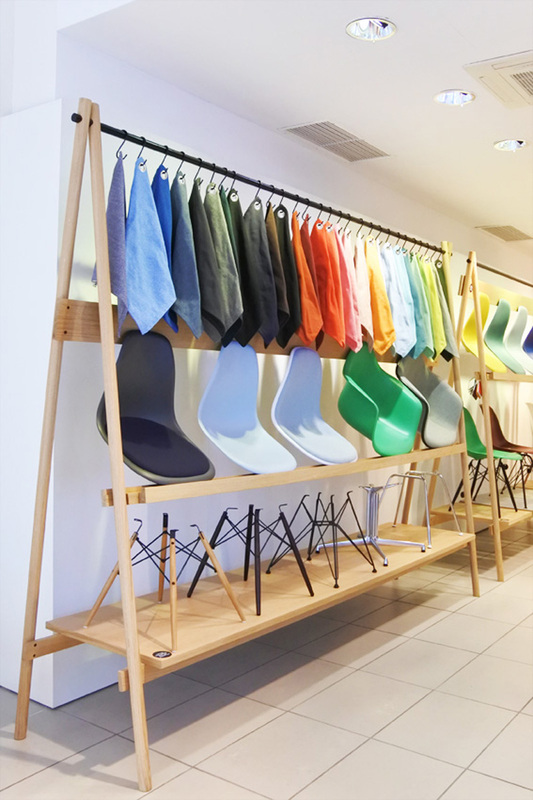 From plywood and glass-fiber to plastic, the Eames chairs have become a design classic. Celebrating 60 years of collaboration with the Eameses, Vitra has also dedicated a pop-up store to this iconic furniture piece. The colour palette developed by designer Hella Jongerius enables nowaday many combinations that can be discovered and tested in Zurich until 28 January 2018 in order to find the perfect one matching your interior!